It is the time for which an average internet user will stick to your site and wait for its loading before leaving it. Yes, the users and impatient and they won’t stay on your Property Management Website for really long if it takes too long to open up. So, if you want to remain in the game of property management then you must be competitive. A website will determine your success in any of the field including property management. Since majority of the people use internet to look for solutions to their problems these days, it makes sense to be online and offer them an opportunity to use your services. 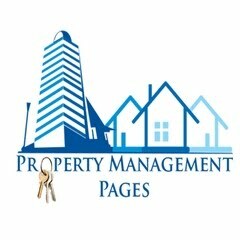 For reaching out to both property owners as well as residents, you need a Property Management Website. Internet marketing is indeed one of the most powerful methods of reaching out to the targeted audience. So, with betterment in the technology and recent advancements such as mobile friendly website, having a website becomes crucial. Take a look at some things which must be considered when preparing the design of your site. You must design the website from the perspective of a customer. It should serve the tenants and must do what they want. The website should click with them instinctively and should help them meet their goals. User-focused design is a must for your property management website. It would be best to integrate the website with quality software that can help keep a track of all minute and major details from anywhere and at any time easily. When designing the website, one should ensure that it is clean and organized. A well-organized website is surely going to catch the attention of the users. Just see that the website is easy to navigate through. If you want the right residents to reach out to you and apply for the vacancies, you should integrate the vacancy listings as well as geographical locations. It is important that your website includes unit descriptions with each listing. If you will simply write ‘Home For Rent’ then it won’t catch attention of the prospects. But highlighting the unit features and adding high-quality pictures with the nicely described properties will surely help you catch the attention. It would be best if you help your prospects in envisioning themselves in the unit. 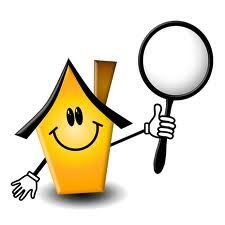 To come out with a great property management website, you should come out really different from your competitors. See how you can make your site better from the others. A simple website with right amount of precise information is quite easy to work with. Then you must also stay up-to-date with the technology if you want to be noticed. Like offer the residents a benefit of filling applications or paying rents online only. This will make a huge difference to your company. All-in-all, make the maximum benefit of your property management website and reach out to a huge segment of audience with your smart and effective website. This entry was posted in Property Management Websites and tagged property management website designs. Bookmark the permalink.